We found 6 episodes of More Than Just Code podcast - iOS and Swift development, news and advice with the tag “notch”. In this best of episode we've picked some interesting clips. Starting with a discussion on refactoring recorded live at Indie Devstock 2017. 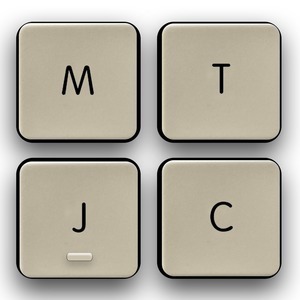 Next we replay a discussion of the Apple command key symbol, which was debated at 360iDev's Stump last week. The much maligned Notch makes it's appearance on Android phones. We also discussed the 10 anniversary of the iPhone SDK, so we revisited our early iOS development. The Touch Bar is banned when taking the Bar exam and we chat about 32-bit app developer shaming. The Canadian's, Aaron, Greg & Tim, take over the show and argue about the weather, latin and poutine. Greg tells us about his first visit with Mark Rubin. Mark introduces Buckethead to Greg, We surprise Tammy with the Roundabout Creative Studio questions. This week we open with a discussion about Android phone makers mimicking the notch. We also follow up on the Bitcoin Pizza Guy. We look into the negative effect of algorithm driven social network feeds. Swift 4.1 is bringing #if and canImport() availability checks. It's the 10th anniversary of the iPhone OS SDK, so we discuss our own memories of early iPhone app development. Apple is opening medical clinics for employees. WatchKit is for Baby Apps according to Marco Arment. Picks: Charles Proxy for iOS, Alto's Odyssey, Silicon Valley 5 trailer w/hidden message, Learn with Google AI, Simple is hiring an iOS developer, Skydio hiring, Topology Eyewear hiring. We dive into #askMTJC about whether the iPhone X layout will mean changes for developers. We follow up on HDR video. We briefly cover the information leak ahead of the Apple Event. We discuss Apple's Steve Jobs Theater which held the event. We cover the items demonstrated and unveiled - Retail events, Apple Watch Series 3 w/LTE, Apple TV 4K, iPhone 8 & iPhone 8 Plus, the iPhone X, and AirPower. Picks: iOS Human Interface Guidelines (Updated for iPhone X), Building Apps for iPhone X - Fall 2017, Swift Programming Language book (updated for Swift 4). We celebrate our third anniversary with quick follow up on Apple related manufacturing moving back to America and Apple's Q3 sales call results. We offer up a PSA on the need to apply security updates by upgrading to iOS 10.3.3 and macOS 10.12.6. We look at how Apple evades patent trolls. We delve into Steve Troughton-Smith's discovery of new iPhone 8 technologies buried in the HomePod code. We look at how the uncovered designs of the iPhone 8 in the same code. Picks: iOS app developers can now recruit up to 10,000 beta testers, SwiftCoders: Weekly Interviews with Swift Developers # 62 - Tim Mitra, Augmented Reality's A-ha Moment, Sourcery, ScreenFlow 7.